How can you 'remember to remember' if you have an unreliable memory to begin with? This is a circular problem, just like trying to find your glasses while you are not wearing them and everything is out of focus. I bring attention to this topic because an improved memory allows us to capitalize on opportunities and to prevent the consequences of unwanted oversights. That is why I want to share with you a compilation of tips and strategies that I have refined over the years to overcome the capricious nature of my own memory. Take a look at them and see which ones will work for you. Tell somebody else to remind me of something. If the other person is not invested in the outcome, they will have a weak motivation to remind me. They also know at a deeper level that it's my own responsibility to remind myself of things. Rely solely on my memory unaided by any other mechanisms. Our mind is bombarded by information and it needs a little help to keep up with a fast moving multitasking world. Pretend I will, at a later moment, make note of something I just remembered. The opportunity to capture information remembered is ephemeral and needs to be seized quickly. Memory is fleeting and what we are vividly aware of now is soon forgotten. 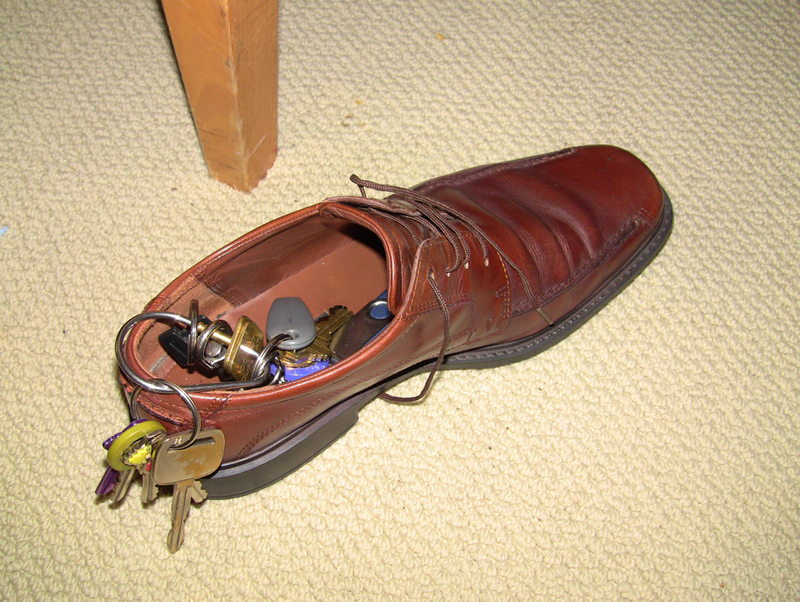 By placing the keys into your shoe, you will be sure to take them both with you. OK, let's get started. I first saw this tip employed by my dad. He was visiting from out of town and had rented a car. He was concerned about forgetting the car keys at the restaurant, so he took off one of his shoes and put the keys in it. In essence he linked the forgettable (the keys) to the unforgettable (the shoe). He could have left without the keys, but he surely would not leave without his shoe. By physically linking these two objects, both elements became entangled and equally as memorable. Another example of this strategy is to hang a bag with your lunch or favorite book on the inside door handle of your main entrance. As you leave your home and reach for the door handle, the bag will be unavoidably noticeable. To promote my own wellness I have developed safety-related habits to the point that the associated behavior is automatic and does not depend on memory. For example, putting on a seat belt is so ingrained that I have little conscious recollection of buckling up each time I do. The same automated behavior occurs when I brush my teeth or look before crossing a street. After a couple of close calls, a new kitchen behavior I am currently developing is to shut off the burner and slide the pan over to the adjoining burner to visually verify that the gas is off. Another way to diminish our reliance on our memory is to organize things in the same way each time. Everything in your life, from spoons, socks, to paid bills has a default home location. Admittedly, life can get ahead of us sometimes and things are no longer where we intended them to be, but as we catch up with our affairs we impart order again to our environment. When stress and fatigue affect our memory, we can rely on our mental map of where things ought to be. For instance, I can close my eyes right now and tell you with certainty that my keys and wallet are in my backpack's most external zip compartment, my cell phone is cradled in my belt holster, and the recycled printer paper is on the left side of my bookstand's third shelf. 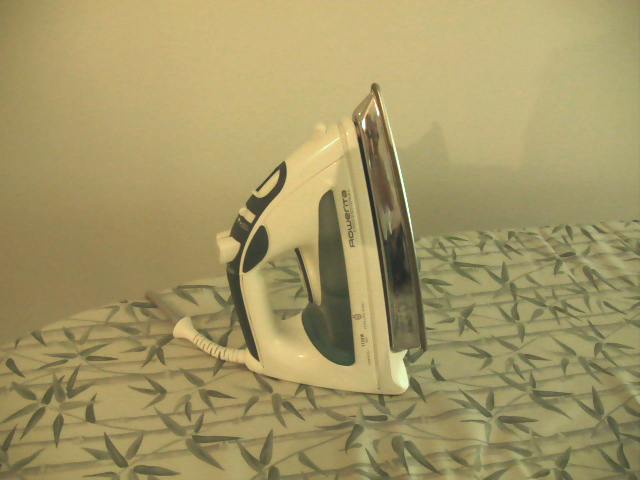 Ya gotta shake me to keep me turned on: Rowenta iron with auto shut off. Auto shut off and turn on: From irons to ovens to laptops, most technology today offers an auto shut-off or turn-on feature. I own a Rowenta iron that shuts off automatically if it is not agitated for more than 30 seconds. When I bake, I set the oven timer so that it shuts off automatically after a set amount of time and my laptop monitor goes nighty-night if the keyboard or mouse are not operated after 15 minutes. A motion sensor activated light can make finding the keyhole that much easier when you return home in the evenings. Set up your environment to sense your presence and have your appliances react accordingly. Electronic calendar for recurring events: Yahoo, Google, and Outlook, allow you to set up recurring reminders (e.g. for birthdays) that repeat in perpetuity after setting them up once. These applications will send you a reminder email or text message so that you can prepare with sufficient lead time for your vacation, business presentation, or music recital. 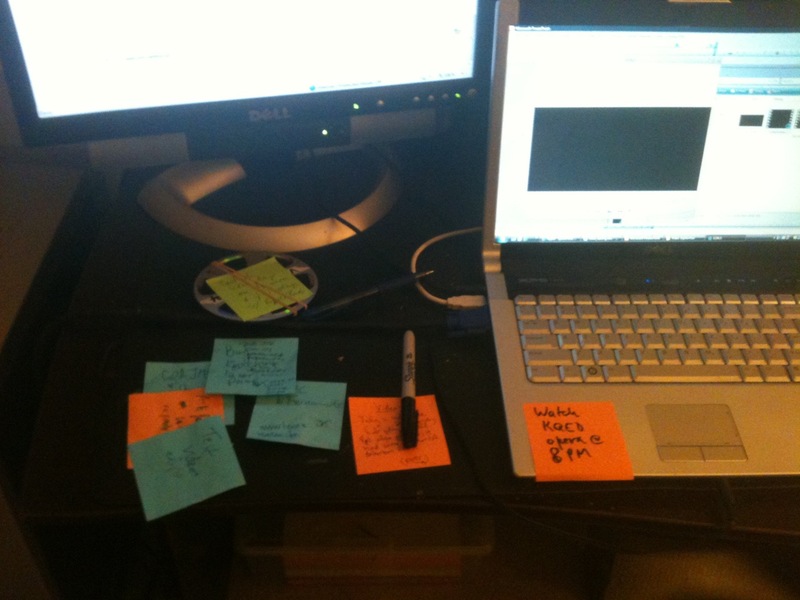 Sticky notes: Not every solution has to be high tech. For example, pens and sticky notes are readily available around the office and at home. A brightly colored piece of paper that is prominent displayed goes a long way to remind us of something pressing we want to accomplish. Alarm on cell phone or watch: This works well for same-day reminders, e.g. to feed the parking meter, shut off the water for the hard boiled eggs, or move the clothes from the washer to the drier. Automatic deposit and autopay: I have set up direct deposit of my paycheck and all my bills are on autopay. Since making this decision I have never looked back ï¿½ it was a no brainer. Transfers occur smoothly in the background so I am never late and therefore prevent late fees. Web hosting charges, cell phone, HOA fees, mortgage payments, utilities, and credits to my public transit card, are all withdrawn automatically. Universal access: By placing things on the web, you will have access to them independent of where you are and whether you wrote the information down somewhere. Because I have programming skills I have placed my shopping list, songs, and recipes online. So I can cook or sing at a friend's house without carrying with me the recipe or sheet music. Furthermore, with my web-enabled cell phone, I can look up driving directions, store locations, hours of operation, and a trillion other bits of information. With nearly ubiquitous cell phone access I do not have to commit to memory any of these details. There will be times when a thought that has been fermenting in your subconscious will bubble up into your awareness and you will have an ï¿½ah-ha!ï¿½ moment. This is a gift from the gods and it may end up wasted because the realization came to you in an inconvenient place or at an inopportune time. For these eventualities I have sticky notes on stand by on my bedside dresser because sometimes, in the middle of the night, I get work-related ideas. The notes I scribble are barely legible in the morning, but the information is still retrievable. If, on the other hand, I am on the street or focused on a task I cannot interrupt for long, I use my cell phone to send myself a reminder for later reading. Typically this message is a one line email that has a single keyword in the subject line. When you do not have a recording device or writing implement, to create a reminder, simply break one of your established patterns. If your home is tidy, leave something out of place (e.g. 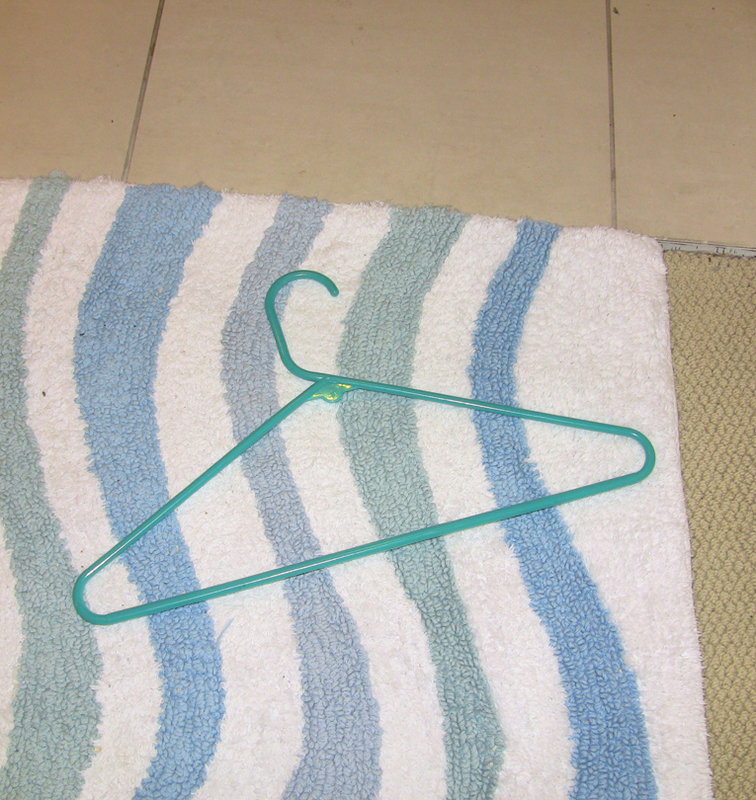 throw a coat hanger or bottle of moisturizer on the floor). It will look stupid and you will ask yourself ï¿½Why did I do that? Oh, yes! I need to pick up Liz on my way to the airportï¿½. By breaking the pattern of cleanliness, you created a reminder for yourself. If you are messy by default... then surprise yourself by put something where it belongs! By keeping the helmet on my lap as I ride the bus, I remember to take the bike with me when I get off. 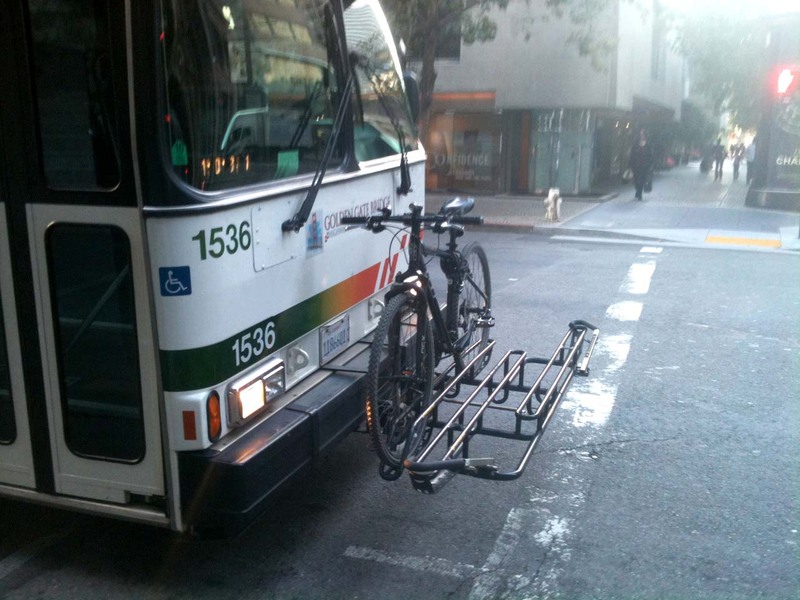 When I load my bicycle onto the bus bike rack I keep the helmet with me on my lap instead of latching it to the bikeï¿½s frame. The helmet is bulky and a little awkward resting on my knees and during the ride it reminds me to exit the bus through the front and take my bike with me, versus getting off in hurry and leaving behind a gift for the Transit Authority. A desktop background image can serve as a reminder of why you work so hard and that you are connected with others (one portrait was deidentified). You will find that some of the things you wish to remember are long term goals that can easily become buried under the daily minutia of life. That is why I post my life purpose around the house along with progress charts. The charts I currently have hanging on my walls measures financial and physical wellbeing recording changes in net worth and body weight respectively. For inspiration and motivation, keep photographs of your loved ones around you. 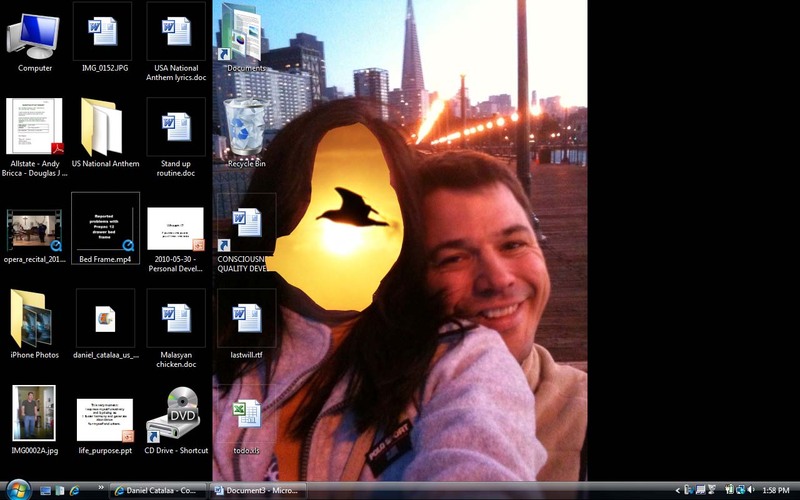 My girlfriend's photo is my computer's background image and just looking at it makes me feel connected to her. These are passive subconscious reminders you will see several times a day that will draw your attention back to what matters.